As a concert pianist, Yiorgos Mannouris performs regularly around the globe, persuading audiences with pioneering projects and artistic versatility. His stage appearances span some of the major halls of Europe and the United States, including Moscow’s Grand Kremlin Palace (St. Alexander Hall), Hamburg’s Laeiszhalle, the Athens Concert Hall and Boston’s Jordan Hall. Yiorgos made his debut with the Cyprus Symphony Orchestra. He was invited to perform in Moscow’s Rising Stars in the Kremlin International Festival, organized by the Spivakov Foundation, the Collegium-Musicum International Music Festival in Pommersfelden, Bavaria, the Mozarteum International Summer Academy in Salzburg, and the Steinway & Sons International Music Festival in Hamburg. He also appeared in such venues as the Weissenstein Castle, the Mirabell Palace, the Hohensalzburg Castle, the Festetics Palace, and the grand halls of the Gnessin Russian Academy of Music and the Tbilisi State Conservatoire. He is a laureate of numerous international music competitions, including the Pietro Argento in Bari, where he was also awarded the grand prize “Premio Critica,” the New England Conservatory’s Concerto Competition in Boston, the Maria Chairogiorgou-Sigara in Athens, the Steinway and the Evangelia Tjiarri in Cyprus, and the World Delphic Games in Saratov, to name a few. 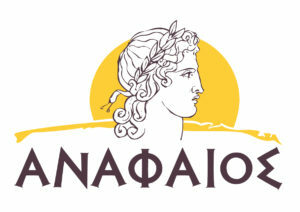 An active humanitarian, Yiorgos is currently presiding over the non-profit foundation “Anafæos” (Luminary). He collaborates frequently with other charitable organizations, and sustains, in particular, an enduring partnership with the Cypriot association for children with cancer and related illnesses, “One Dream, One Wish.” He served as an honored scholar of the Gina Bachauer International Music Association in Greece and was declared Ambassador in the Fundación Nicos & Manuella Vardinoyannis in Spain. Yiorgos has studied six languages and is also a published writer, specializing in poetry. In 2016, he was awarded the first prize in the prestigious Delphic Poetry Games in Greece, organized by the Hellenic Association of Littérateurs. In the same year, he published his first poetry collection in collaboration with Poema Editions & Magazine, and several of his poems are featured in the latest edition of the Great Encyclopedia of Modern Greek Literature of Haris Patsis (2017). Yiorgos studied at the Escuela Superior de Música Reina Sofía in Madrid with Dmitri Bashkirov. 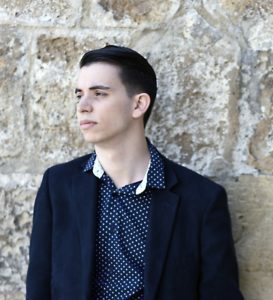 He continued his studies at the New England Conservatory in Boston with Alexander Korsantia, where he received his Bachelor’s degree in Piano Performance with Academic Honors and is currently completing his Master’s degree. He also received a Minor degree in Music Theory and Applied Composition under the instruction of composer Efstratios Minakakis. He previously trained privately with Nicolas Constantinou. Yiorgos has been privileged to collaborate with a large number of esteemed musicians in masterclasses and coachings, including: Sergei Babayan, Paul Biss, Bruno Canino, Imogene Cooper, Pavel Gililov, Márta Gulyás, Claudio Martinez Mehner, Maxim Mogilevsky, Ronan O’Hora, Günter Pichler, Ferenc Rados, Russell Sherman, and the celebrated composer Sofia Gubaidulina. He has also worked as a teaching assistant for the departments of Music History, Music Theory and Liberal Arts at the New England Conservatory, having collaborated with Professors Katarina Markovic, Efstratios Minakakis, Roger Graybill, Lawrence Scripp, Douglas Buys and Panagiota Kambouris. In 2017, Yiorgos was admitted to Brandeis University with a full scholarship to pursue a Ph.D. in Historical Musicology. During his doctoral study, he will also be working as a teaching fellow in courses in music theory, history and literature. As a scholar, Yiorgos will specialize in music philosophy, with a particular focus on late 19th-century composers, Wagner’s music dramas, and the prevalence of Platonic and German Idealist aesthetics in the Wagnerian oeuvre.